The Super Bowl is just a few weeks away. If you’re thinking about getting a new TV, here’s some of the best deals around. For larger TVs we’d recommend a store with an easy in-store return policy because shipping back large TVs is a huge pain. For smaller TVs though, I’d recommend buying from anywhere that’s the cheapest. 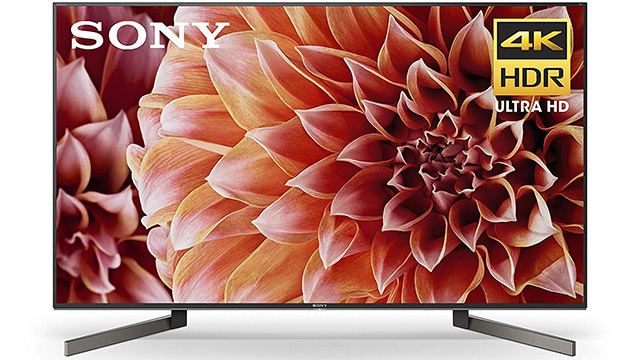 This is a higher end Sony XBR series HDTV with full HDR capability. It’s normally priced at $1500, but currently on sale for $1199.99. Dell is the only vendor that’s including a bonus $250 gift card. Use it to help pay for an Xbox One, PS4, or Switch. The gift card arrives within 20 days after the ship date and is good for 90 days. If you want to save money but want the image quality of the big TV brands, you should consider Vizio’s M-series lineup. This is Vizio’s least expensive TV with full HDR capability, and it is ranked at the top of the heap in image quality compared to other TVs in its price range, brand names included. This TV normally retails for $1000, is currently on sale for $850 plus Dell is throwing in the bonus $200 gift card. The P-series is Vizio’s best mainstream TV (there’s a reference model that’s better but way more expensive) and the professional reviews stack it favorably against the more premium models from Samsung, LG, or Samsung. P-series also boasts true HDR support, which means that PS4 Pro and Xbox One X video games will be driven to their fullest potential. The TCL 600 series is one of their top-end TVs and is considered to be one of the best sub-$1000 TVs on the market. If you don’t care about brand names, you can save hundreds compared to a LG, Samsung, or Sony TV that matches the quality of this set. It also has Roku TV built-in, which in my opinion is one of the best implementations of built-in Smart functionality. This particular model also includes a voice activated remote control, which is alot easier to use than navigation buttons or a keyboard when you want to search for a specific title. This was a very popular TV deal on Black Friday and it’s back. This TV is one of the best rated entry level TVs among professional reviews and users alike. It’s a 4K TV with solid image quality and has Roku cooked right in. It’s available right now for $350 shipped. This TV just dropped to $50 less than Black Friday, when it was sold out 99% of the time. The D-series Vizio TV is well rated for its solid image quality.